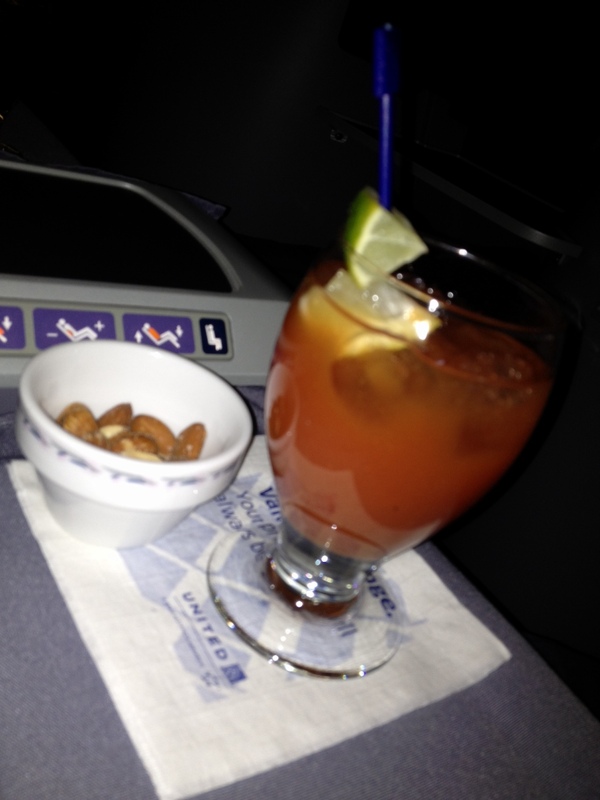 3 Comments on travel tip: purchasing miles. I’m a frequent flier miles whore. I admit it. Although, not as much as some of my friends– Justin and Xenia, I’m talking to you. So I thought I’d share a little tip. 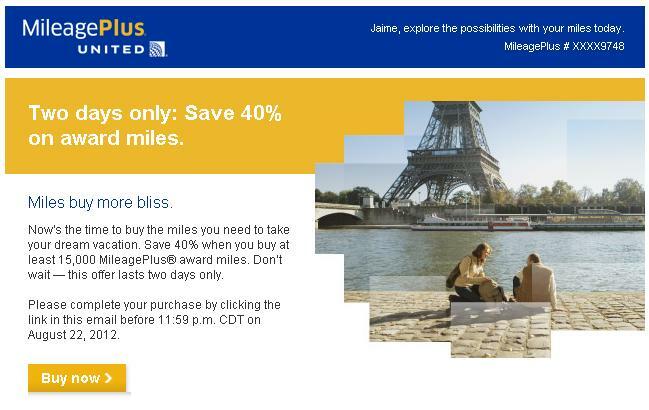 I received an email from United this morning about their award miles being on sale during the next two days for 40% off. Seeing as I can hardly use the ones I have in my account now, my immedate thought was: woo-freakin’-hoo. But then I got to thinking about my current philosophy– unless you are incredibly flexible in your travel schedule, those miles are only really good for upgrades. Take for example how D and I used our 20,000 miles plus some cash to fly Business First home from London (read about that here). Now those were some miles put to good use. 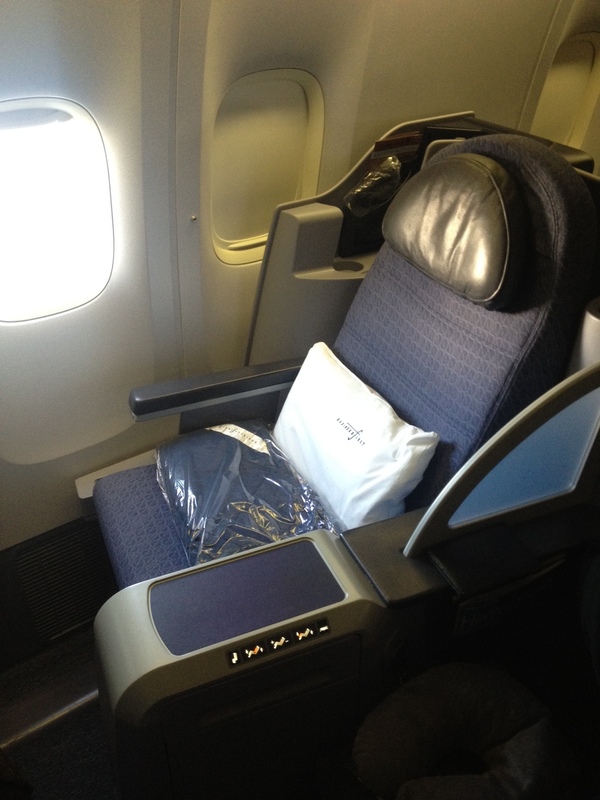 100,000 miles is equal to 1 round-trip, Business First-saver award flight on United or their partner airlines. Yes, I realize that’s not cheap. That’s a savings of $1,939 (almost enough for a second round trip flight!!). Of course there are some down sides… You have to be a little flexible in your dates of travel, and you have to hit the mileage sale at just the right time. Also, a downside in my opinion is the miles you will NOT be accruing as a side effect of purchasing an award ticket. Not to worry if you aren’t prepared to shell out $2,500 in the next two days; these sales come around fairly often, just keep your eye out. Considering I’m ruined for life after our return Business First flight from London, I’ll definitely be trying this out next time the sale comes around. I’d love to hear your thoughts about this. Have you tried it before? Let me know how it works for you. Never done this. I got the same email and was going to do the math…but now I don’t have to, thanks to you. I think I’ll pass this time. I’m not in need of the miles right now. Since I was specifically called out, I thought I’d add something for my fellow Dividend Miles members. Similar to United, they are running a special on purchasing miles this month (they also run this special a few times a year). Now until August 31 you can get a 100% bonus on purchased miles up to 50,000 miles (for a total of 100,000 miles). 100,000 Dividend Miles + Fees = $1881.25. And you can even use those miles on Star Alliance partners like United, Lufthansa, Thai, etc. Enjoy! Previous Entry food, food, glorious food. Next Entry unlimited booze cruise?